Several things cause sewer clogs. All the drains in your home empty into the main sewer drain. Food and grease from the kitchen combine with soap scum and hair from the shower and paper from the toilet as the waste leaves your house and flows toward the city sewer. It’s no wonder clogs form occasionally and need to be cleaned out. You may be surprised to learn one other common cause of sewer clogs is tree roots. The roots are attracted to the water and nutrients in the drain. Roots can travel across your yard or from a neighbor’s yard. The offending tree doesn’t even have to be right beside the sewer line. 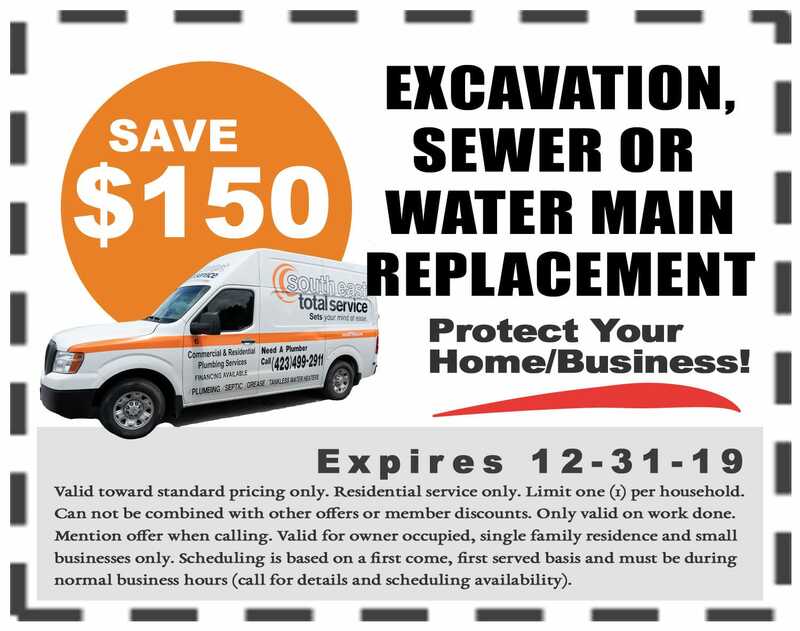 Once you have a root problem, you may have to battle it for years until you finally have the sewer drain replaced. 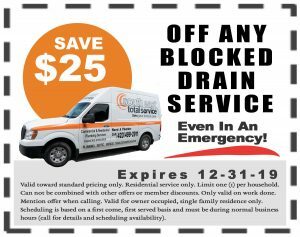 Here’s a look at how you can deal with tree roots in your sewer drain temporarily and permanently. A video inspection is the best way to find out what’s going on inside the drain. 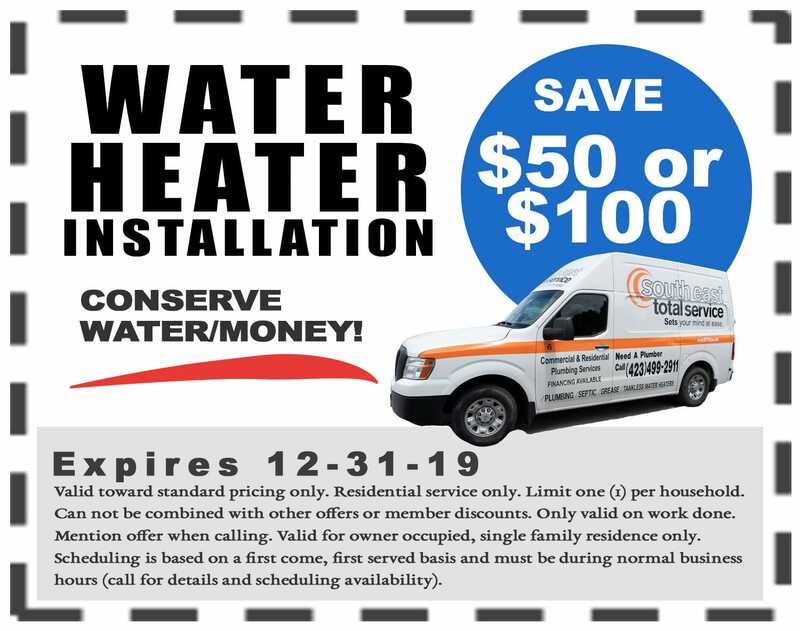 The plumber sends a small camera into the pipe and watches the video it sends back in real time on a monitor. The picture is clear enough to see the sides of the drain and identify problems. Tree roots may be invading a gap in a joint or crack in the pipe. In addition to confirming the presence of tree roots, the inspection is useful for determining the health of the pipe. If the pipe is in pretty good shape, the plumber may recommend cutting out the roots as a temporary fix. 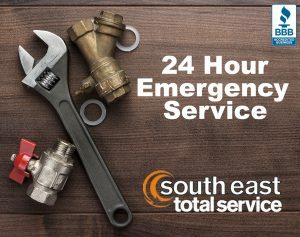 If the pipe is damaged to the point that it has collapsed in place, you’re probably looking at the need for a sewer line replacement. 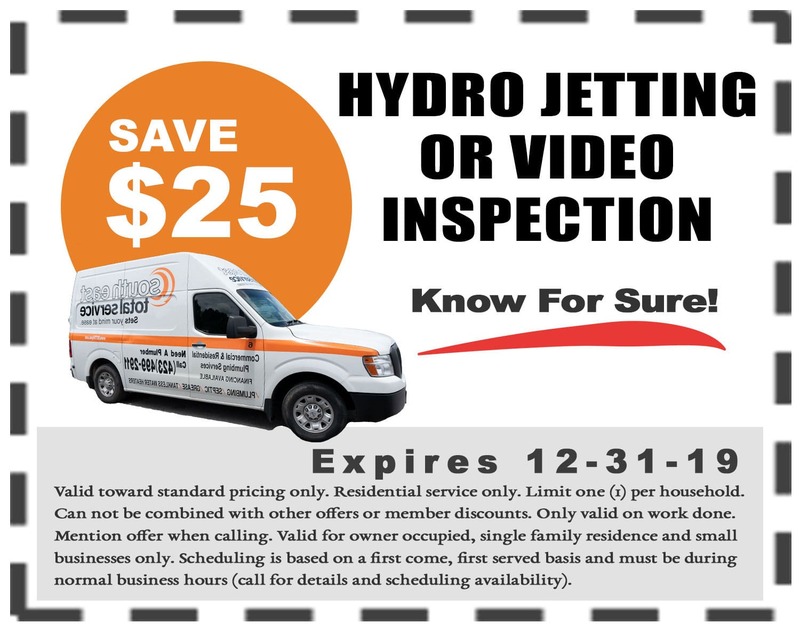 Besides all this information, a video inspection also helps the plumber pinpoint the location of the drain. While the camera is in the pipe it emits a signal that can be detected above ground. The plumber uses this signal to note the location of the pipe and mark the spot with spray paint or a stake. The camera advances several feet and its location is marked again. When the camera is pulled out, there is a clear indication of where the pipe is located, which is necessary to know if it needs to be excavated. Tree roots can be removed with a sewer snake or by hydro jetting. Both of these methods destroy the roots and push them on through the pipe. When they’re gone, your drains all empty quickly again. The results of this treatment are only temporary because the roots will eventually grow back. As long as there is a gap or crack in the pipe, roots will return. 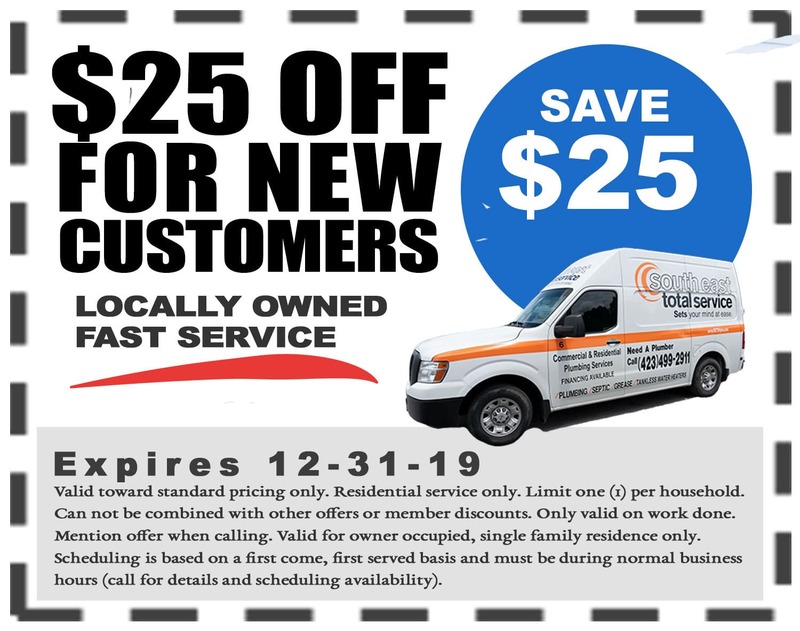 You may need to have a repeat service call one or two times a year to keep the sewer drain cleaned out. There will probably come a time when the drain will fail due to the root invasion. When roots wiggle in, they make cracks bigger and bigger until the pipe eventually collapses on itself. When this happens the drain needs to be replaced. The permanent solution for tree roots in your sewer drain is to replace the drain. Roots won’t be able to get inside the new drain if it is free from cracks and the joints are sealed tight. 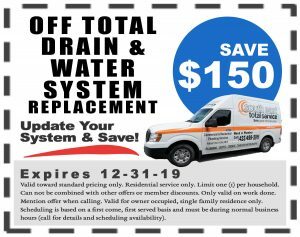 If your drain needs to be replaced, your plumber may recommend digging up the old pipe and exchanging it with a new one. This involves using heavy machinery to dig a trench to uncover the old pipe. 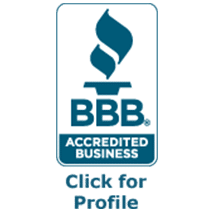 This will tear up your yard a little, but once the work is done, your yard will be restored to the best degree possible. You may need to place seeds or sod above the drain after the trench is filled in to cover the soil with grass. Sewer problems can be scary. You have to deal with unsanitary conditions and you have to make decisions about equipment you probably know nothing about. 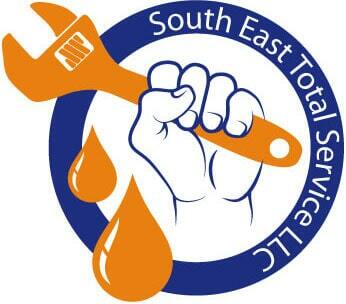 Call South East Total Service when you need help. 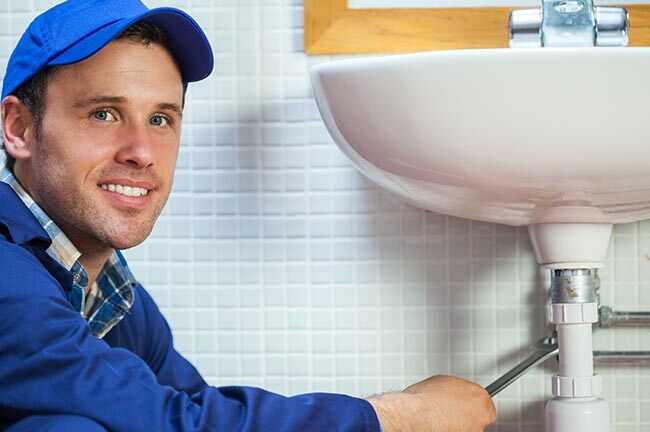 You get expert advice on how to solve your plumbing problem, and when you have the drain cleared or replaced, you can count on great service and expert workmanship.